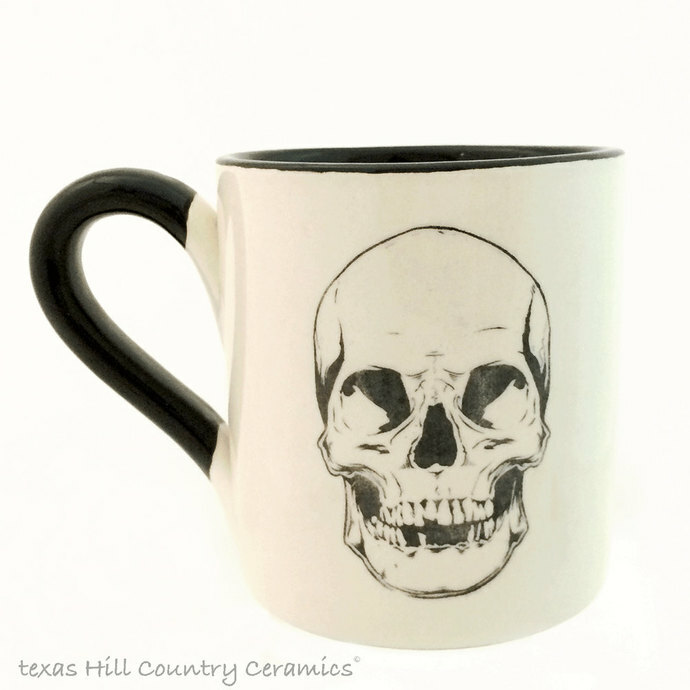 This ceramic skull coffee mug or cup is perfect for any hot or cold beverages, get a complete set for your haunted Halloween kitchen decor. 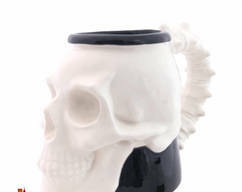 Made for your dark side this 12 ounce skull mug is finished in black food safe glaze. The black skull design is on each side, the design is permanent and will never wash off fade or peel. 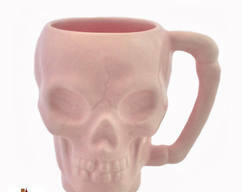 This skull is made to be used, the inside is also glazed with food safe black glaze giving it a totally gruesome look. 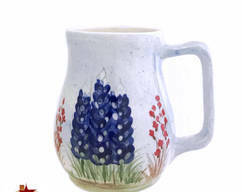 This skull mug is made of kiln fired ceramic clay, each piece is hand finished with lead free glaze. 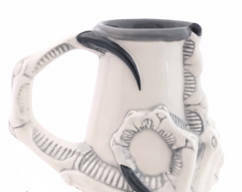 The mug has an off white background, the skull design is added by hand with black underglaze and sealed with lead free clear glaze. Coordinating items are available as shown in the last 2 photos. • Please allow approximately 3 - 4 weeks for completion of your order.